Typically, when we think about hoppy beers, the first thing that comes to mind is IPAs. These are really the first beers to implement that huge, resiny overabundance of hops. Though hoppy beers have always had a following, it wasn’t until American northwestern hops changed the game in the bittering department. The hops coming out of the Northwestern U.S. have a pleasant citrus and pine bitterness that provided not only much needed bitterness but also great, fruity flavors that weren’t possible from traditional American, British and European hops. September’s beers aren’t typical hoppy beers, but they employ some of the greatest hops on the planet to make wonderful beers truly brilliant. Description: This new, limited-edition lager pours a clear ruby/amber color with a nice, long-lasting cap of foam. The nose on this beer has huge citrus peel and a healthy dose of pine needles. The taste starts juicy with orange and tangerine. Subtle caramel malts come next, providing a bit of perceived creaminess with pine resins rounding out the back end. It finishes quite nicely with some dry orange peel and floral dryness. Overview: For all intents and purposes, this tastes like an IPA—but it’s a wonderful lager. 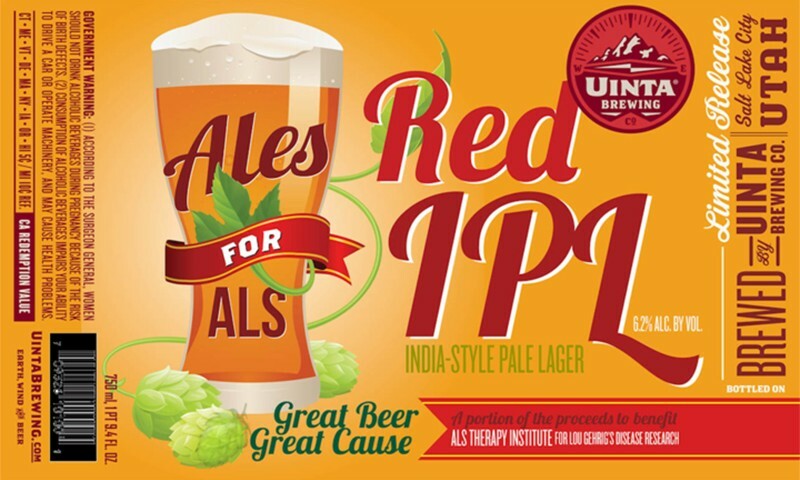 A portion of the proceeds from this beer goes to ALS research. It uses a special hop blend that is exclusive for this ALS lager and is only available at the Uinta’s brewery. Read more reviews at slugmag.com.